Could that glass of milk affect your memory? Is that aluminum can increasing your risk for Alzheimer's disease? Can a banana be a brain booster? Everyone knows that good nutrition supports your overall health, but did you know that certain foods can protect your brain and optimize its function? In Power foods for the brain (Grand Central, $25.99), Dr. Neal Barnard has gathered the most important research and studies to deliver a program that can boost brain health, reducing the risk of Alzheimer's disease, stroke, and other less serious malfunctions, including low energy, poor sleep patterns, irritability, and lack of focus. 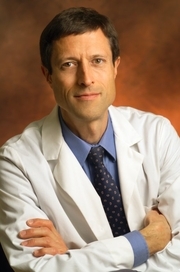 Neal Barnard is currently considered a "single author." If one or more works are by a distinct, homonymous authors, go ahead and split the author. Neal Barnard is composed of 15 names. You can examine and separate out names.